There are many resources on the web for finding people to follow on Twitter. Just do a search for any particular type of person you want to follow (student entrepreneurs? job seeker advice? etc.) and chances are you will find a list. But why none for LinkedIn? Well, just as I have been the first to write on other things LinkedIn-related, I think it is important to introduce people on LinkedIn that I think you should invite and/or connect up with. These people are either LinkedIn LIONs or “Super Connectors”, people with lots of connections that are open to receiving new invites as well as helping people connect and pay it forward. The importance of connecting with LinkedIn LIONs and Super Connectors on LinkedIn cannot be understated. LinkedIn LIONs help you build out the virtual network that you will need for LinkedIn networking, and it also improves your visibility when searching for others as well as when they search for you. Now, I do need to point out that LinkedIn caps the number of connections you can have at 30,000. So those LinkedIn LIONs listed below that have over 30,000 connections can receive your invite but cannot accept it. I still think it is worth sending an invite with an introductory paragraph about yourself in the hopes that someday this limit will be lifted and they will be able to accept your invitation. 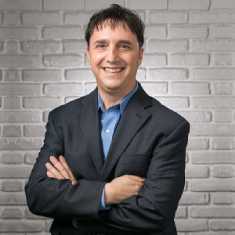 Ron Bates is a retained executive search expert and is also the most connected person on LinkedIn. Perhaps it is his proximity to LinkedIn headquarters in the Bay Area that helped him along the way, but Ron is a great person who I happened to hear speak on a free webinar for executive job seekers several months ago. Intelligent and passionate, if your company is looking for a retained executive recruiter or if you are an executive looking for guidance, Ron is your man to connect with. I have never met Marc but I have heard the fascinating interview he had on Stan Relihan’s Connections Show. Some of you who have been around on LinkedIn hopefully remember the original MyLink500.com database, which allowed us all to openly add our information to a huge database of LinkedIn users for the purpose of open networking (this has now been moved to http://mylinknetwork.com). Marc is also the founder of the Dallas Blue LinkedIn Group, which has over 25,000 members and has traditionally been one of the largest LinkedIn Groups. And if that wasn’t enough he also created the excellent MyLinkWiki which contains loads of documentation about LinkedIn. The amazing thing is that this is someone who apparently had his 20,000+ connections LinkedIn account removed for “spamming” (he was trying to raise money for charity) and then rebuilt it from scratch to be the #5 most connected person on LinkedIn today! Amazing! Stacy is located just an hour away from me in sunny San Diego and yet we have never had a chance to meet. She is in the recruiting industry, but more importantly she brands herself as a “Pay It Forward Open Networker”, a fundamental characteristic of Windmill Networking. I have recommended friends in San Diego who were in transition to contact her, and she has answered every one of their emails and phone calls. Stacy, I hope to meet you some day! Shally is a leading recruitment speaker and consultant, and he is also Chief Cyber Sleuth of what used to be called The Job Machine and is now called Arbita. I subscribe to his newsletters because he truly is a pioneer in using the Internet to source for candidates. If you are in transition, doesn’t it interest you to see how recruiters “source” or find you on the Internet? Reading the announcements of the webinars that he does for recruiters blows my mind. Definitely on the leading edge of understanding social media for recruiting and a must person to connect with. Christian is the founder of a Venture Capital firm. But more importantly, he is the founder of the original Linkedin LIONs Group. What else can I add? He is the grandfather of the LinkedIn Open Networking movement. Please pay him your respect. Thomas is the Chairman of Ecademy, one of the premier social networking sites for business people with 500,000+ members worldwide. I have exchanged some tweets with Thomas on Twitter, but it is the power of Ecademy that makes his connection so valuable. I once met an entrepreneur from New Zealand in Japan who was on a several week tour of Asia looking for partners. He was able to attain all of his appointments and meet many people solely through networking on Ecademy! Ecademy is a place where there is some serious Windmill Networking occurring, and Thomas is at the helm. Please connect with him and check out Ecademy as well. That’s right, President Obama, the first President of the Social Media era has a presence on LinkedIn. He doesn’t seem to be very active on LinkedIn, but you have to admit he has a busy job. Will he answer your messages? Probably not. But wouldn’t it be cool to have the President as your connection? I thought so. Heck, I even wrote a blog post last year regarding how to connect with Barack Obama. Let me know if that address doesn’t work anymore, OK? It was a sad day when I heard that Stan was no longer going to be doing his Connections Show podcast. This is someone who I got to know through my ipod and his frequent podcast, and I truly have learned a lot about social networking, Web 2.0, and LinkedIn from him. Stan, by the way, is a headhunter and is Asia-Pacific’s most connected person. Whenever I meet someone from Sydney, I always ask if they have ever met Stan, and I always get the “Yes!” answer. He is a great guy who completely understands the value of Windmill Networking…I do hope to have a chance to meet him someday! 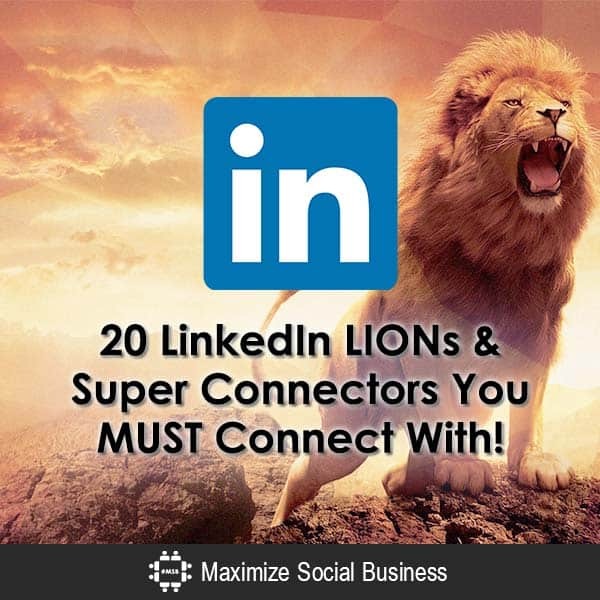 Some time after publishing the above post I added 10 more LinkedIn LIONs I recommend you connect with, so here they are! Thubten is someone that I am proud to say I had a chance to meet last year in Portland, Oregon. Someone who has deep spiritual experience (his past experience includes being an ordained monk for a Tibetan temple) as he does a successful track record in business, Thubten is one of the most genuinely nice and caring individuals you will be lucky to meet. A social media consultant, he is one of the LinkedIn LIONs you should definitely check out should you have a chance to get to Portland. Another top connector who I have had the chance to meet is Gary Zukowski. We both presented at the Gov 2.5 conference put on Bob Fine, who’s social media case studies book I contributed to. I had a chance to hear the whole history of Gary’s company, TweetMyJOBS, came into existence as well as how Gary himself is personally trying to help so many through their job search by paying it forward in a variety of ways. TweetMyJOBS, by the way, is the largest Job Board and Recruiting Solution on Twitter. With worldwide presence, it is said to be the most effective solution to reach candidates in the twittersphere. Connect with Gary, then check out his website. Career Rocketeer is one of the leading personal branding and job search blogs that exist. The site was founded and run by Chris Perry, and Chris is one of the brightest Gen Y branding strategists out there. Connect up with Chris and check out his website for the latest career tips. I personally look forward to meeting him for the first time next time I am in the Big Apple. Linked:HR is the largest of the more than 850,000 LinkedIn Groups that exist, boasting a membership of over 350,000 professionals. If you have ever created your own social media community, you can only imagine that this was not an easy task. I have never had the chance to meet or speak to Olivier, but I plan to be in Seattle this summer and hope to have the chance to have a cup of java with him at Pike’s Place Square and absorb his knowledge. As always, if we’re connected on LinkedIn, I will gladly forward any job connection request to anyone else in my network that I can help you reach. The name Jay Deragon might seem familiar to you if you remember my post on 10 new social medial bloggers to follow in 2011 which mentioned him. He reached out to me for the first time after publishing that post, and I realized that Jay is on a mission to change the way we all fly with an exciting new venture called Social Flights. I won’t go into details here, but Jay is an incredibly intelligent, savvy and thought-leading social media strategist who I highly recommend you connect with as well. Although Miles and I have never met, a discussion in a LinkedIn Group prompted a phone call from him as if we were childhood friends. This gave us the opportunity to get to know each other, and allowed me the opportunity to understand how Miles is helping so many businesses through his consulting and speaking with effectively maximizing their use of web tools (his nickname is “The Web Tools Guy”), one of them being social media. In fact, Miles is recognized as one of the leading authorities on web tools for sales and marketing success. Miles is for real and is a great example of an open networker who is both intelligent and understands the value of being open and connecting with others. The minute I post this, some of you are going to start recommending other LinkedIn LIONs & Super Connectors that did not make my list. I welcome all suggestions! If you want to be on this LinkedIn LIONs list, I do plan to post updates, so please, connect and communicate with me! I look forward to hearing from you. It was a very informative article highlighting the significance of being connected with the top profiles. mdnc100 how did you get to 19,436 , linked in is limiting access at 4,000 so they stop you if you don’t purchase premium? I’m still learning how to maximize linked in before I begin connecting with others that I need to tailor my connections with to share my brand. etc..
Hi Neal – Is there a specific LinkenIn Lions group or Super Connector grouop you recommend joining? I have 24,662 connections most of which are members of my website www.semiwiki.com. I also feel the 30k limit is out of date. Has anybody lobbied to have it changed? There have been people who have lobbied in the past – but in the grand scheme of things, is it that big of a problem? I would rather establish relationships than collect connections. This is not a very good way to create a connection, with a single click and an non-edited message. You are right – the connection is only the beginning of the relationship! It’s important to note that LinkedIn has since imposed a restriction preventing anyone with over 30,000 to accept new connections. With the exception of Neal Schaeffer, pretty much everybody on this list now have well over 30,000 connections. So they won’t be able to accept new invitations (although they can still send them). Steven Burda is a case of his own. Not only he can’t accept new invitations but he also can’t send out new ones. Many people will tell you that you don’t even need 500 connections to use LinkedIn effectively. And they’re right. You’ll notice that many VPs, CEOs and other top executives have as little as 200-300 connections and sometimes less. I personally have 1500 connections and that’s fine with me. Nevertheless, I still think LinkedIn could improve its customer service by doubling the limit of connections to 60,000, given that many users are unsatisfied with the 30,000 limit. The number of users has increased a lot since 2009 and LinkedIn should therefore update itself. But I do believe there should always be at least a limit imposed in order to keep some control on the site. So to summarize, the idea of a limit is not bad as long as LinkedIn is willing to revise its number every 3-5 years instead of sticking infinitely to the 30,000 rule. How can I find an updated and longer list? Not all of the people listed in this post seem relevant to me. For example, why would I, an engineer, link to somebody who teaches recruiters? Writing a convincing invitation to connect is not a trivial task when you have nothing in common. I think it would be a better use of my time to go lower in the list to find more relevant contacts. So, is it possible to find a longer list that isn’t several years old? Thank you. Hi Rich, unfortunately I have not revised this list nor is there a longer list available. My advice for you would be to do searches on LinkedIn and look for those with lots of mutual connections. That is a hint that they are open to new connections, and it also gives you a good way to “break the ice” with them since you know so many in common. Hope the advice helps! Thanks for the suggestions, Neal. This was a wonderful piece of information. I am connecting will all these guys. Thanks a million! How can you connect with them when LinkedIn doesn’t allow to connect with people you don’t know? It is true that LinkedIn doesn’t want you to connect with people you don’t know; however, some of us choose to be more open than others. The choice is yours! Thanks for the feedback…and like your comment, “some of us choose to be more open than others. The choice is yours!”. Thanks for sharing this information. LinkedIN will continue to garner accolades for its ability to connect individuals, effectively build business networks and provide timely and essential information. Giving a quick background of the individuals you reference is much appreciated. Many thanks. That’s why I tell everyone that LinkedIn is such a godsend. What did we all do before it existed?!?!? Wow, another LinkedTwitterific moment. @goodpeople Jason reminded me to spend more time on your site, I put it off – only to find you listed me @osakasaul in your @NealSchaffer/japan-tweeple Thanks for that. Thank you so much Allan! It's comments like yours that keep me blogging! Hello Neal.What a priviledge is to view your website.It has the imformation about linkedin i was looking for.You have filled in an enormous imformation void which i was suffering from.Iam on your newsletter subscribers list,as well,will make connection on twitter&linkedin.Bravo Neal,you have broke it down in laymans terms for me and i now consider you to be a very valuable resource. Awesome list, Neal. Lots of research and time you put into this information. And you freely pay it forward ! Nice. I am going to post a link to this on my free job coaching blog, www.the50over50project.wordpress.com. That way, those following my blog (“millions” less than you have) can learn about the value of (windmill) networking! 2) The LION issue is one of my own pet peeves, as there is no guarantee that a LION will accept your invitation. The only thing that LIONs should be agreeing to do is to never respond with an “IDK” or “I Don't Know” response. The LION movement is not governed by LinkedIn nor anyone else, so we really are at risk when we invite someone that we don't know, although inviting a LION is usually the safest and most effective way of growing your LinkedIn network. I realize that my comments don't help your situation, but I do sympathize with what you are going through and hope things work out for the best. I don't believe in “good old boy” networks, anymore than playing political games. On linkedin when we invite individuals we are required to check how we know these people. When one checks worked together, and name the company we worked together with, and these people that play this good old boy network and click “I don't know” rather than “archive” isn't it LinkedIn's responsiblity to weed out the trash of liers since they can verify on these people's profiles that they are flat out lying? Instead they “ding” the sender of the invitation and lock down the account of the inviter stating they “exceeded” their limits of invitations. If you took the time to verify both Ray Wagnon and David Bones (both reside in San Antonio, Tx) both worked at Inter-Tel (which is now a Mitel Corporation since Mitel bought out Inter-Tel) you would see the dates of their employment with this company is equal to or greater than mine. Yet you excuse them from their lies, and you advise me I am inviting people I don't know? This is absolutely absurd! If they want to play their games of deception and lies, this is their political scrutiny, not mine to be penalized for. I think its up to LinkedIn's customer service or whomever checks these invites to validate the liars within this network and put a hold on their account for wrongfully selecting I dont know rather than archive if they opted not to accept my invite. This is abuse of your policy, they should in my professional opinion wear the burdon of proof and be penalized, not I! I have 631 outstanding invites, as a LION, it is not within my control as to when fellow LIONS log onto linkedIn and accept invites, or to control when they should. Again, being locked out by linkedIn rather than confirm these people are a part of a group named LION which in their own rules we are allowed to connect to other LIONS that are in a shared group. So LinkedIn, please explain why you aren't playing by your own rules, rather than making new rules? Futhermore, to tell me I have reached my level of invites, again, I have no control of when people log in and when they accept invites, being how my open invites are with fellow LIONS. I look forward to you bringing a solution to this negative experience I encounter since I use LinkedIn for business and this lock down is suffocating my professional growth. Maybe we can tweet him for that ;-) Thanks for the update! Do reach out to me — and if I can help, I will. Can I connect to you on LinkedIn? Nice! I didn’t know there was even a ranking or list. The windmill Theory is pretty neat to know about – definitely this day and age’s tech trend. Thanks for stopping by! Windmill Networking is a concept that hopefully everyone will see value in. More details coming soon!